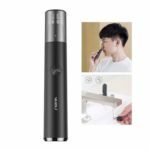 This XIAOMI mini nose hair trimmer features hidden light touch switch, comes with better sealing effect, waterproof, and you can use it in the shower room. 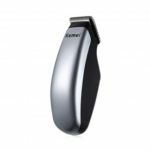 It can remove nose hairs without any pulling leaving you comfortably clean! Safer and more comfortable. 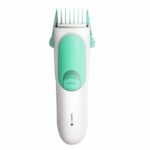 Unique design safely removes nose hairs without any pulling leaving you comfortably clean! Safer and more comfortable. Anodic oxidation treatment, comes with better hand feeling. Top in quality! 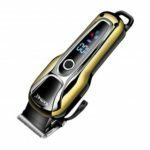 The blade is made of imported steel, no rust, sharp, solid and durable. 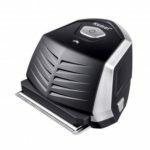 The speed reaches up to 10000rpm, with a torque of 30g, providing strong driving force. Hidden light touch switch, comes with better sealing effect, waterproof. 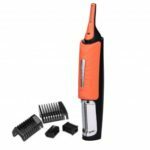 Mini portable trimmer, easy to store and carry for travel.